It’s a little out-of-the-ordinary and the designs have a delightfully organic aesthetic. 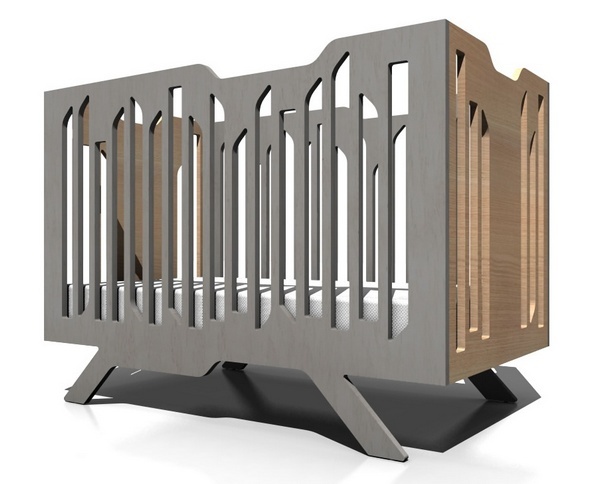 Numi Numi Design, a US-based design firm, has recently launched its first collection of nursery furniture. Named Funky Forest, the collection is inspired by the asymmetry and irregularities found in nature – uneven tree trunks, shadows and the spaces in the foliage provided the starting point for the designs. 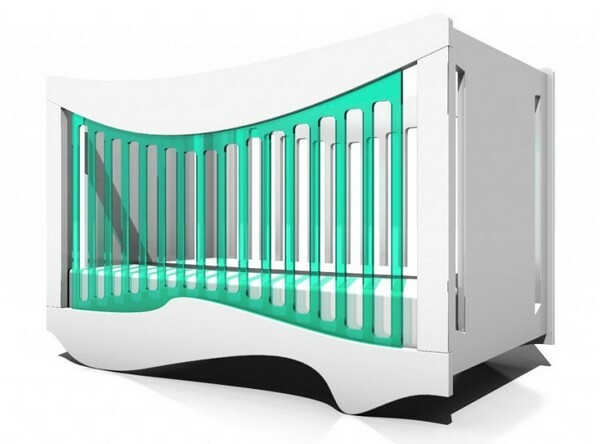 The Funky Forest collection includes a cot, a toddler bed and a changing table. 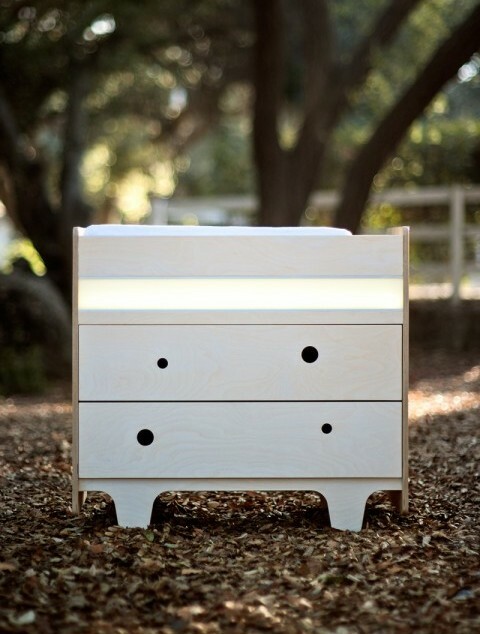 The ingenious changing table design has an integrated LED fixture to make night-time nappy changes easy. The light fixture remains cool to touch, uses very little energy and casts enough light to allow for nighttime nappy changes with a minimum of fuss – very clever! I’m looking forward to future Numi Numi Design collections which also promise inspired themes – there’s the Seaweed collection, borrowing underwater shapes; the Wired collection, created to reflect the hustle and bustle of New York City; and the Xylophone chair, rocker and table – completely different to anything you will have seen before! 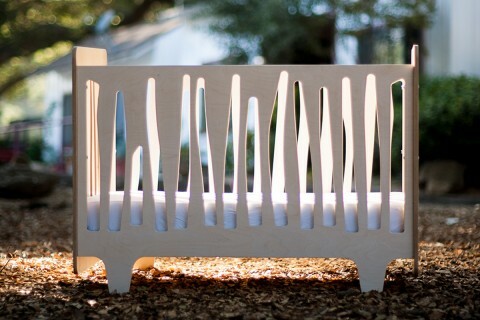 Numi Numi Design furniture is made in the USA of highly durable NAUF (no added urea formaldehyde) multi-ply birch wood. The finishes are non-toxic, water-based wood stains. Pieces in the Funky Forest collection begin at US$1266 although at this stage, Numi Numi Design is not shipping outside the US.